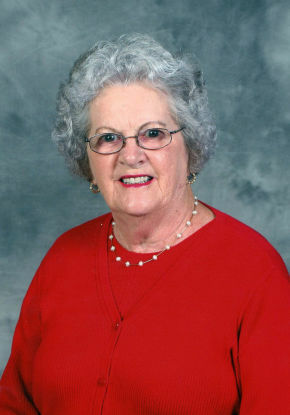 Mary O’Leary Wilson, age 90, of Glen Rock, NJ formerly of Fair Lawn passed away on March 23, 2019 at home surrounded by her loving family. Born in Saint John, New Brunswick, Canada on September 6, 1928 to William and Anna O’Leary, she was the third oldest of nine children. On September 4, 1954, Mary married Martin J. Wilson, Jr. who was based in St. John during the Korean War. Mary was the only one of her siblings who moved to the United States, becoming a US citizen in 1995. Mary and Marty moved to Fair Lawn, NJ in 1958 after living in Brooklyn. A woman of strong faith, she was a parishioner of St. Catharine R.C. Church in Glen Rock where she was a member of AMP’s, served as an Extra Ordinary Minister of Holy Communion to the homebound, member of the Rosary Altar Society and volunteered with St. Catharine School, where all five of her children attended. Beloved wife of the late Martin J. Wilson, Jr. Loving and devoted mother of Marty (Michele), Kevin (Virginia), Tim (Laurie), Mary Collopy (Steven) and Paul (Mary). Cherished grandmother of 16 and great-grandmother of one. Dear sister of Pat O’Leary, Carol Allen, Eleanor Mahoney and five predeceased siblings. The family will receive relatives and friends Monday, March 25, 2019, 4-8 pm at Vander Plaat-Caggiano Funeral Home, 13-31 Saddle River Road, Fair Lawn, NJ, 201-797-3500, www.vpfairlawn.com. A Mass of Christian Burial will be celebrated Tuesday, March 26, 2019, 10 am at St. Catharine R.C. Church, 905 South Maple Avenue, Glen Rock, NJ. Interment will follow at George Washington Memorial Park in Paramus. In lieu of flowers, donations to St. Catharine Church for Eva’s Kitchen would be appreciated.